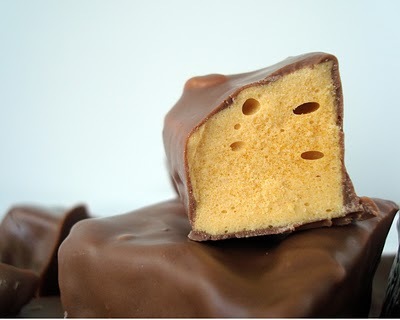 Over the past year I have gotten many, many questions about my Buffalo sponge candy recipe. I thought it was about time to do an FAQ, to hopefully alleviate any concerns that you might have about making this tasty treat! 1. A properly calibrated candy thermometer - Is your candy thermometer calibrated? Easy way to check. Bring a pot of water to a boil. Stick your candy thermometer in the boiling water. At sea level it should read 212 F. If you are above sea level it will read lower (Denver about 202 F). If your thermometer reads a little off, you'll be okay. If it is really far off, it might be time to get a new one. 2. Sifter/sieve - You must sift your baking powder before adding it to the sugar syrup. I didn't do this the first time and was left with big pieces of baking soda in my candy, non-delicious. 3. Parchment paper - For lining your pan. Parchment paper is great because it's non-stick and won't melt. It makes for easy removal of your candy from the final pan. Q: Do I have to use light corn syrup? Can I substitute honey, invert syrup, glucose syrup, golden syrup? A: Candy-making is like science. You have to put in the correct starting materials to get your desired product. Our correct starting materials are sucrose and glucose. The correct mixture of these two sugars gives the desired final texture of the candy. Change the starting materials and you will wind up with a completely different product. After testing this recipe over and over, with several different liquid sugar sources, I have come down to the some conclusions about each choice. Honey - never replace corn syrup with honey in these kinds of candies. Honey will burn when you take it up to the necessary 300 degrees. Trust me, I tried. I had to leave the windows open for days. Invert Syrup - A mixture of fructose and glucose, derived from splitting a sugar molecule into its two components. The final candy product using invert syrup never hardened up and was a gooey sticky mass. Glucose Syrup - Yes! This is the one product that I have found to have the same properties as corn syrup. Found in pastry shops, art supply stores and specialty grocery stores, glucose syrup is your go to product if you want to steer clear of corn syrup. Golden Syrup - Common in Britain and Australia, I have had limited success with this product. A form of inverted sugar, this product is a mixture of fructose and glucose. 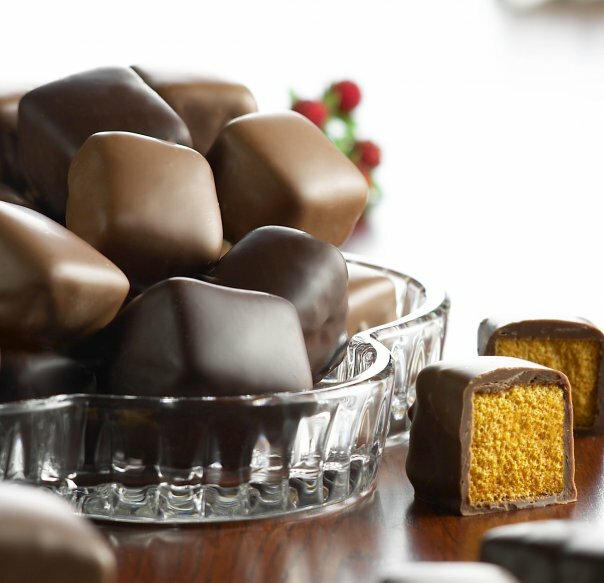 You won't get the exact same flavor as traditional sponge candy, but if it's all you have access to, it's a good choice. Q: Why don't you use vinegar in your candy recipe? A: Everyone has seen the volcano trick. Baking soda plus vinegar equals bubbles. Did you know that baking soda will break down and produce bubbles if you just heat it up enough? It's called thermal decomposition. Above 160 degrees F, baking soda will gradually break down and produce CO2 without any acid present. We add the baking soda when our sugar syrup is about 280 degrees F. This high temperature leads to a rapid decomposition of the baking soda and gives us our airy candy. Q: Why do you use gelatin in the recipe? A: The gelatin acts to thicken the sugar syrup and form a matrix within the candy. Once we add the baking soda to the gelatinized sugar syrup, the baking soda begins to break down and form carbon dioxide. As the baking soda decomposes, it absorbs heat and cools the sugar syrup. As the syrup cools, the gelatin begins to set, trapping the CO2 bubbles in the candy. Q: Why isn't my candy as airy as traditional sponge candy? A: First I would like you to enjoy a video of the head candy-maker at Watson's make a batch of sponge candy. Did you notice how large a batch that man was making? Personally, I don't have a bowl that large. I also think boyfriend would have a problem with me turning the apartment into a science lab. The trick to Watson's airy candy is that they only use the inside of the huge candy disk. Using power tools, they remove the outer layer of candy. This outer layer is denser than the inner layer because it has settled and some of the air has been pressed out. Take a look at your next batch and you'll see that the inside of the candy has more air bubbles than the outer layer. Q: How should I store my sponge candy? A: To answer this question, you need to ask yourself one thing - Is it humid today? If it is at all humid in your area, I would suggest coating the sponge candy in chocolate as fast as possible. It will pick up moisture fast and turn into a sticky mess. If the humidity is low, you can probably get away with keeping it uncoated, but in a zip-top bag. Never, ever, ever put your sponge candy in the fridge. Fridges are full of humidity! Q: Does this really taste like Violet Crumble or Crunchie bars? A: Yes. I have personally had a Crunchie bar and can say that my recipe tastes a little smoother and is a bit easier to eat. I fed this candy to a New Zealand friend of mine and they made the comparison with Violet Crumble without me saying anything. So, if you've moved to a country without these candy bars, now you can make your own. Did I miss any of your questions? I'd be happy to answer them and keep adding to this post! 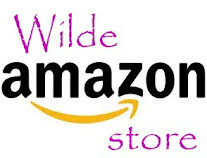 Just send me an e-mail at Wildeinthekitchen (@) hotmail (dot) com and I'll get to answering you right away! Now, on to our second Candy Month Giveaway!!! Are you one of the unfortunate souls that have never had the opportunity to try Buffalo sponge candy? Sure, the stuff we make at home is pretty good, but it's not Watson's. The lucky winner of this giveaway will recieve a 2-pound box mixed boxed (dark and milk chocolate) of Watson's original sponge candy! Yum. The Watson's giveaway is open from May 10th- through 11:59pm May 16th. THE GIVEAWAY IS NOW CLOSED! THANKS FOR ENTERING! This time it's going to be a very simple one to enter, two ways to win! 1. Leave a comment here and tell me what candy is a local favorite in your hometown (or your house)! Good Luck! And if you aren't the lucky winner, I hope that the tips I've shared with you today will help you make your own batch at home. Sadly, Watson's can only ship to the contiguous 48 states. Their sponge candy is very delicate and prone to melting in hot climates! So this giveaway is open to those living in the lower 48. This giveaway is sponsored by me! I have adapted this recipe just a little bit. If you have had success with the previous recipe, continue to use it! In this new edition, I have added in temperatures of addition and slightly changed the ingredients. This recipe has been continually successful in my kitchen, give it a try in your own! Line a 9x9-inch pan with parchment paper, allowing it to flop over the edges. In a smallish bowl (a little bigger than you think you need, it will bubble up like crazy once you microwave it! ), sprinkle gelatin over 1 tsp water and allow to bloom for 5 minutes. In a medium stock pot with high sides, mix sugar, corn syrup and 1/2 cup water together. Heat over medium heat and stir until sugar dissolves and mixture comes to a boil. Wash down any sugar crystals from the sides with a wet pastry brush. Clip on candy thermometer and heat to 300° F.
Remove from heat and let sit for two minutes, bubbling should subside (temperature needs to fall to around 275° F). At this point, microwave the gelatin for 30 seconds to melt. Add gelatin and whisk it in, be careful, the sugar syrup will bubble up. Return sugar syrup to the heat and bring temperature back up to 280° F (the temperature will have fallen upon addition of the gelatin). Sprinkle baking soda over syrup and whisk vigorously. Whisk for 30 seconds. The sugar will rise up in the pot, a lot! Quickly pour into prepared pan, it should come out in a big blob. Do not spread the mixture, just let it settle into the pan. Allow to cool completely (about 2 hours or overnight) before removing from the pan. Either break into odd pieces or cut into squares (this is a messy process!). To cut into squares - using a serrated knife, score the candy at 1-inch intervals. Snap the candy apart at the score lines. Then score and break into squares. Melt chocolate melts in a double boiler (or bowl sitting above a pot of boiling water). Dip sponge candies in chocolate, tap off excess. Chill in the fridge to set the chocolate shell. Enjoy!